This may be my favorite quilt from the book. The design is simple, the colors fun. And luckily for me there was no do-over for this one! Also, I really wish this were my living room! I'm really excited about what Deborah from Whipstitch has to show you tomorrow. 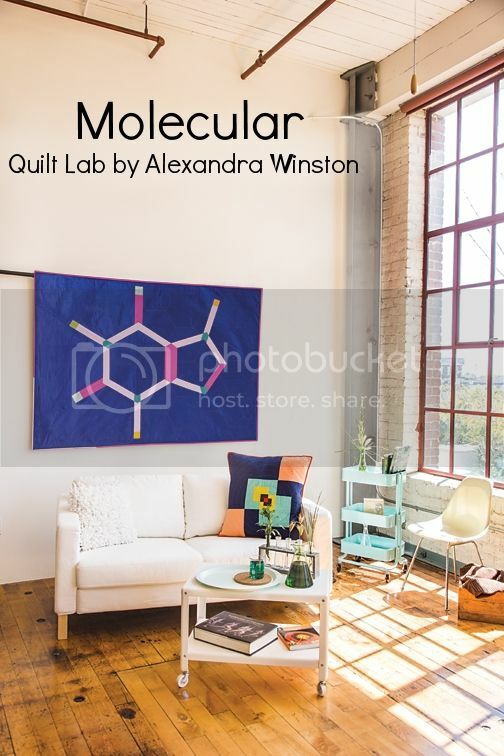 I don't want to give too much away, but she is making a quilt using a different molecule!!!! Check out her blog tomorrow! This is so unique!!! I love it! Now I need to make one!! !